Submitting your inquiry for a loan at Fastcashcom.com incurs absolutely no cost. Fastcashcom.com is not a lender and does not provide lending services directly to consumers. Based on the information you submit, Fastcashcom.com searches its database housing its vast network of lenders to pair you with the lender and loan that may be suited to your needs so that you can submit an application directly to the lender. The loan fees and interest rates are determined solely by your lender, with specific amounts determined based upon the information you submitted to the lender. 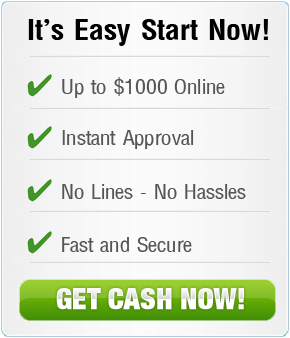 Fastcashcom.com has no control or knowledge of the loan details between you and your lender. You are under no obligation to continue with the application process if you find a particular lender’s loan terms unsuitable. Additional fees or charges may apply to you in the event that you are unable to repay your loan. Fastcashcom.com uses commercially reasonable efforts to work only with reputable lenders dedicated to pursuing collections of past due accounts with conduct that is fair and reasonable. Find your state in the list down below to review the legal repercussions applicable to you in the case of non-payment. There are some states that do not have any specific lending statutory provisions pertaining to personal loans. And they do not require that lenders comply with the interest rates offered by: Maryland, New Jersey, Connecticut, Massachusetts, West Virginia, Vermont and Pennsylvania. North Carolina and Arizona are allowed preexisting cash loans statues and laws to sunset. Borrow Responsibly – A short-term loan is ideally used for short-term financial needs only, not as a long-term financial solution. Late or missed loan payments may be subject to increased fees and interest rates. Lenders may use collection services for nonpayment of loans. Fastcashcom.com recommends seeking credit counseling if you have financial difficulties. Please note, we cannot guarantee you'll get a loan in one hour. Fastcashcom.com is only a domain name. Most borrowers can expect a short repayment period, it is typical for borrowers to be referred to short-term lending options. Fastcashcom.com encourages you to confirm your loan repayment period with your lender prior to finalizing the loan.